Honda UK has announced the addition of a new variant to the popular Civic line up. 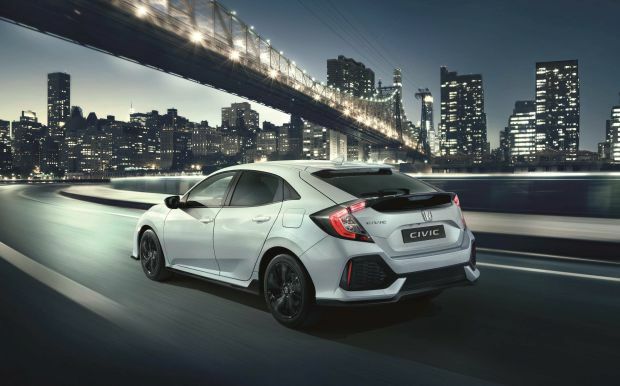 Available in dealer showrooms now, the Civic Sport Line is available on the 1.0 129PS engine in both manual and CVT and will offer customers additional features and styling over the standard range. The Sport Line introduces a more dynamic and sleek appearance with its lower front and side skirts, along with the rear diffuser, all finished in a high-gloss black finish. These additions are complemented by the window surrounds and door mirror caps being finished in the same high-gloss look. Inside the car, a unique and bespoke black leather seat is detailed with red stitching, exclusively available to the Sports Line models. Based on the SR-grade variant, the new model boasts an impressive specification list as a starting point, which includes climate control dual-zone A/C, adaptive cruise control, motion adaptive electronic power steering, highbeam support, ECON mode, privacy glass, Bluetooth® hands free telephone (HFT) system, reversing camera, city brake active system and a 7” touchscreen HONDA Connect™ in-car audio and information system with Garmin navigation as well as Apple CarPlay/ Android Auto, internet radio, and much more. Available in White Orchid Pearl, Rallye Red, and Brilliant Sporty Blue, the Sport Line will be priced from £22,445, representing a significant saving on the cost of purchasing the included options on an individual basis. Order banks for registering interest in the car are open now, and are expected to garner significant attention from the public, ahead of mid-December deliveries, thanks to a 0% PCP monthly price plan of 36 instalments of just £199 (based on optional metallic paint).